Ministry of Gender and Family receives ‘Ranvana’ award from the Information Commissioner’s Office, in recognition of the efforts to voluntarily disclose information and maintain a high-level of transparency in accordance with the responsibilities outlined for state institutions under the Right to Information Act. The Ministry received the award last night, at a ceremony held at the Maldives Islamic University, by the Information Commissioner’s Office to mark the International Day for Universal Access to Information. 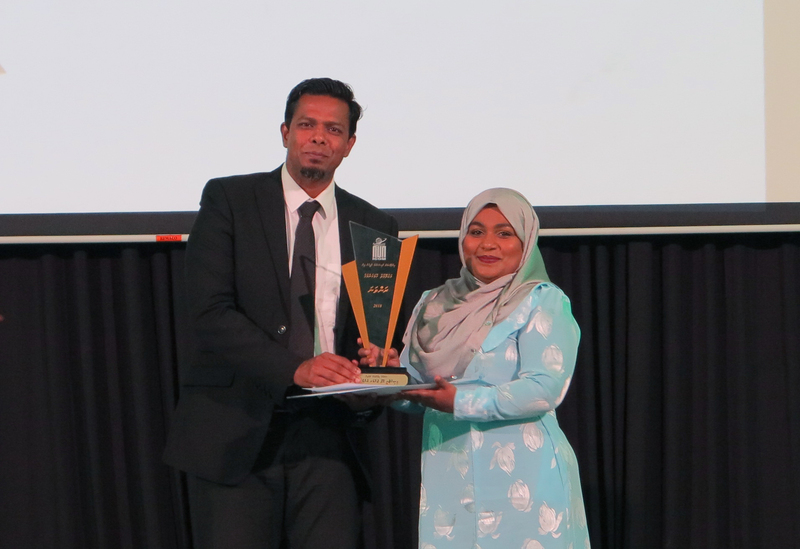 Permanent Secretary Ms. Aminath Shifana accepted the award on behalf of the Ministry. Ranvana was awarded in three categories this year and the Ministry received Ranvana award from the category of government institutions. In addition, the Ministry received a special recognition as the Ministry’s website was also ranked in the top tier based on the information disclosed.